With strategic importance in geography, Swiss Center Dongli Economic & Technological Development Area links the downtown and the Binhai New Area of Tianjin. As an innovation and R&D center, it possesses a well-developed IPR management system and provides technological and financial platform support. 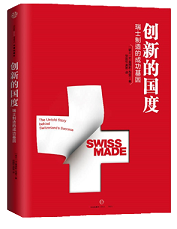 Equipped with intangible assets management system and technology financial system, Swiss Center Dongli facilitates the business operation of Swiss companies in various ways, including business networking services, import & export services, high-tech companies incubation and low-rates bank loans. Currently, there are already 6 leading industries in the area: aviation, high-tech equipment manufacturing, electronic information technology, automobile and parts, new materials and new energy, life science and health. Besides, Swiss Center Dongli Economic & Technological Development Area also enjoys favorable policies including tax benefits as well as investment and technology support, assisting Swiss companies to succeed in their initial settlement and subsequent development. Swiss Center Dongli enjoys a sophisticated transportation network: 5 metro lines, 2 high-speed railway stations, and 3 three railways (Jingshan Railway, Beihuan Railway and Dongnan Railway). The highways are arranged in “seven horizontal and seven vertical ”network, playing a key role in cargo delivery and passenger transport. Dongli and its surroundings harbor 22 universities and R&D institutions, as well as several vocational training schools, satisfying Swiss companies’ various needs in terms of human resources.